A guest post from Archive volunteer and UCLan placement student, Emily Fisher. 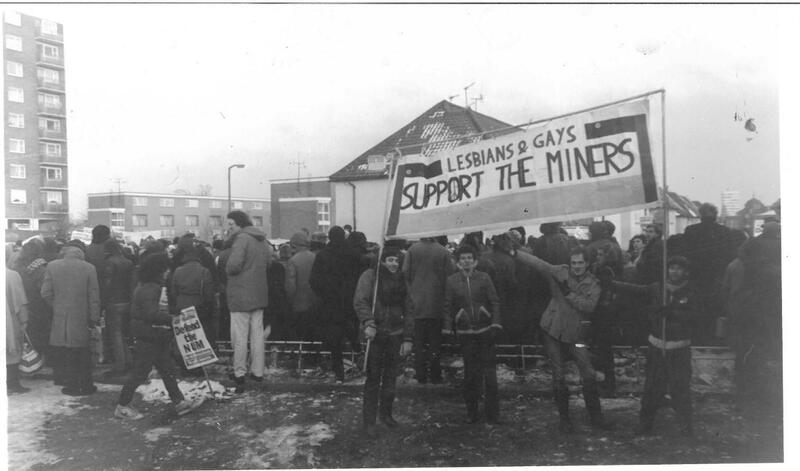 With the release of the film Pride on the 12 September 2014, there has been a large increase in interest in the Lesbian and Gay Support the Miners (LGSM) material held by the Labour History Archive and Study Centre. LGSM set up during the 1984 – 1985 miners strike and served to challenge many prejudices. By 1985 there were 11 LGSM groups all over the country; the London group alone raised £11,000 by December 1985. The recognition of LGBT rights by the unions and Labour movements during the miners’ strike led to a formation of a network of LGBT groups for the members of the Trade Unions, which is still going strong today. The archive holds two boxes full of posters, pamphlets, hymn sheets, newspaper articles and minutes from numerous meetings. Although, predominantly the boxes are focused on LGSM, there are other collections available. One example is the Labour campaign for lesbian and gays rights. 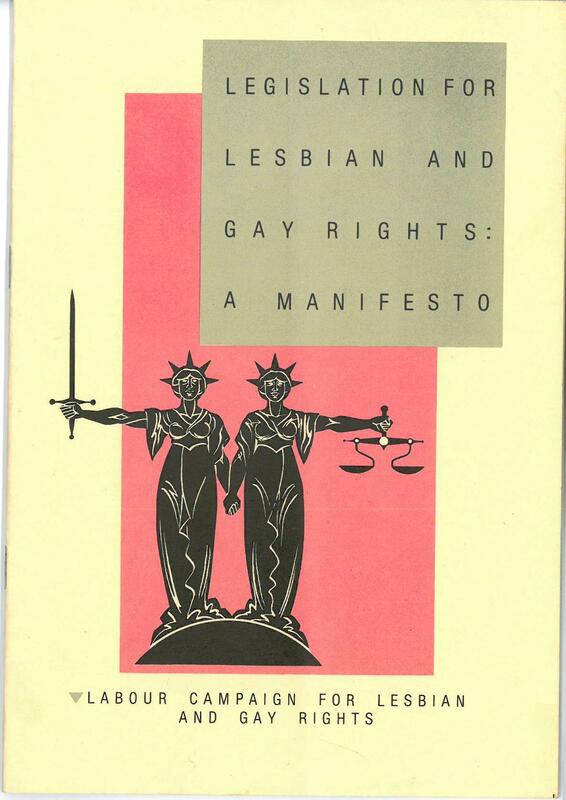 Within this collection there is the “Legislation for Lesbian and Gay Rights: A Manifesto”, this ultimately is the Labour Party campaigning for more equality for LGBT groups with regard to the Labour movement. The collection also contains an end of year report on the work carried out by the by the London district of the Communist Party of Great Britain, with regard to the Lesbian and Gay advisory. This report states the work carried out by the CPGB to help lesbians and gays obtain the rights they deserve. The support of the Communist Party of Great Britain continues, when a campaign by the conservatives to petition against the introduction of homosexual and lesbian education is met fiercely by the CPGB, with letters and posters being published asking for all LGBT groups to come together and complain against this petition. The second box particularly focuses on members of the LGSM movement, along with letters to and from the movement. There are numerous letters containing donations to the movement which suggests that they obtained a huge amount of support across the nation considering the amount of donation letters there are in the collection. Within the collection there is some material solely based on the miners’ strike itself and its progress. This collection on the whole is extremely interesting and contains some excellent material focussing on a topic that is very personal to a vast amount of people. Work in Progress has a new display to celebrate the release of the film Pride and to highlight the history and work of Lesbian and Gays Support the Miners (LGSM). LGSM formed during the 1984/85 Miners’ Strike. They decided to raise money for the mining communities as they believed the two groups were against the same things such as the Thatcher government and the police. LGSM soon became one of the biggest fundraising groups in the whole of the UK. The Pits and Perverts benefit, held in London in December 1984, was a huge success and raised over £5000 for the miners. At the time it was seen as revolutionary that these two contrasting communities could stand in unity against a common enemy. Pride, directed by Matthew Warchus and starring well known actors such as Bill Nighy and Imelda Staunton, shows this unlikely relationship. The film tells the true story of the LGSM, led by campaigner Mark Ashton, travelling from London to a remote village in Wales to personally hand over the money they had raised. The LGSM display in Work in Progress includes stills from the film, courtesy of Pathe films, and original LGSM photographs. It is also showcases some of the LGSM archival material which is held here at the museum, such as leaflets and posters. If the display inspires you to find out more about the topic, we have an LGBT History Tour on Friday 22August. We also have a Q&A session on Saturday 23 August, which is a wonderful opportunity to meet some of the original LGSM members and the cast who play them in Pride. Hope to see you there!